QLB 02 provides a flexible lighting solution by allowing users to easily plug into any power source including auxiliary power, electrical generator or directly into the grid. 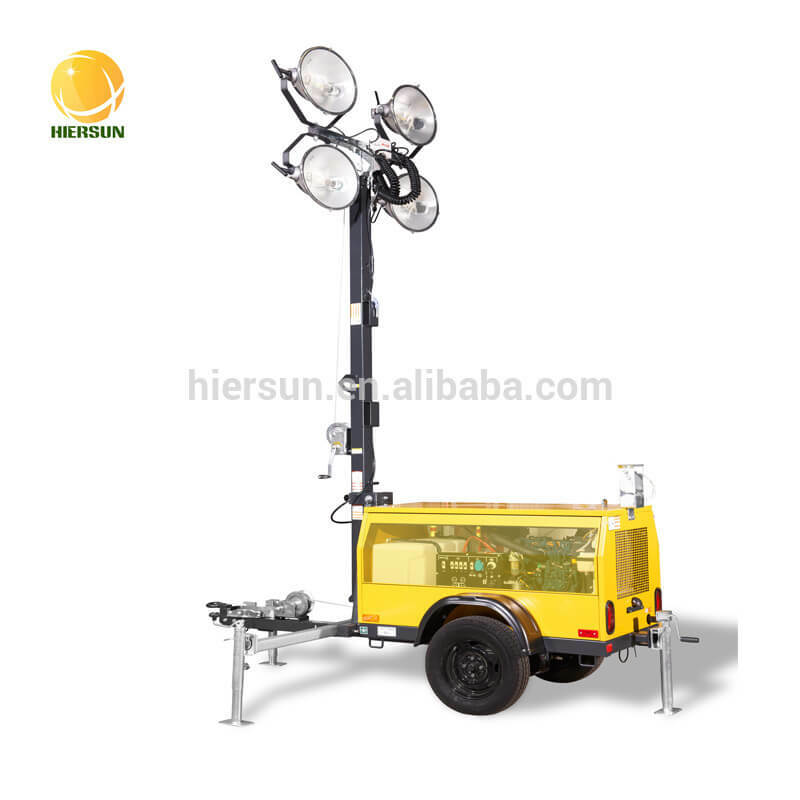 It is an ideal light tower for events, general metropolitan construction, road construction and temporary public lighting. Its 4 x 400W metal halide floodlights can illuminate a space up 2.000m2 with bright, safe light. The lamps can be adjusted manually when you need less light, meaning that you can get just the right amount of light you need and not waste money and resources lightening areas which are not needed. 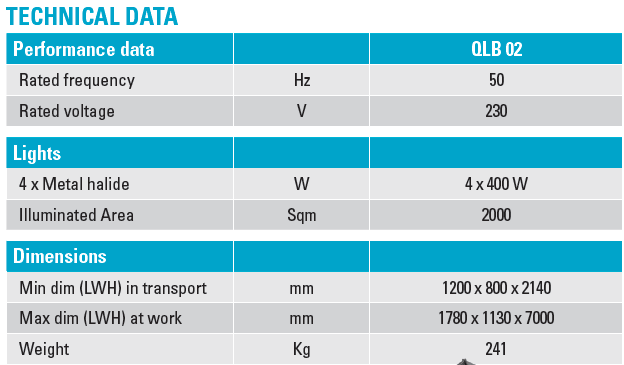 For large sites, up to four QLB 02 units can be connected to one power source (auxiliary power, a generator or the grid). A programmable timer is an optional extra, giving you the flexibility to choose from 84 on/off programs to save you time and ensure safety and security. The QLB 02 is remarkably small and lightweight, giving you the flexibility to maneuver the units around a job site at a moment’s notice. All units come with wheels, forklift pockets and a lifting eye. Getting the units to the jobsite is also simple –you can fit up to 32 units on a single truck. Four heavy-duty stabilizers ensure stability of the 7-metre manual mast in winds up to 80 km/h. The strong canopy and rugged frame provide additional protection for the unit. 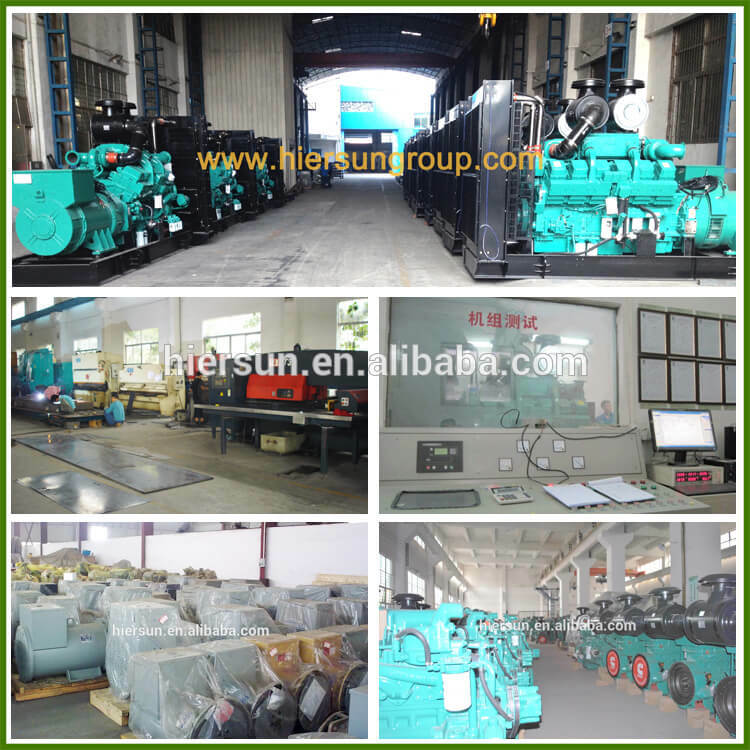 Hiersun Power is an operated power solutions provider in Guangzhou, China. We provide a total power solution for businesses requiring emergency power and continuous power in areas not currently served with electricity. We take a detailed consultative approach to your field, to ensure our clients get the right power solution for their needs, without over-specifying equipment or under-estimating requirements. Where necessary, we conduct a site audit to ensure a safe and accessible operating environment for our clients and the machinery itself. For more detailed, please click here.